Two Point Hospital finally has a release date! The first game from ex-Bullfrog developers Mark Webley and Gary Carr and their new studio Two Point will launch on the 30th of August for PC. You can visit the store page on Steam by clicking here or you can pre-order the game now and get a 10% discount to bring the price down to £22.49. If that sounds tempting then click here to pre-order. 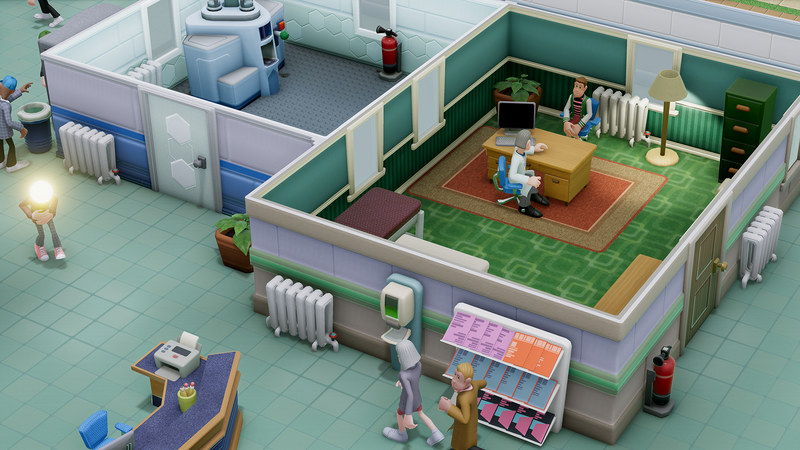 Two Point Hospital follows the formula of Bullfrog’s own Theme Hospital and is promising to deliver a similar set of laughs and overall absurdity. One of the illnesses you have to cure is one that turns the infected’s head into a light bulb. There’s also a new trailer to look at, so why not click the embed below? Two Point Hospital is due for release on PC later this year and will be the first title from the newly formed Two Point studio.